When you’re first starting journaling, it can seem that there are a million options out there for your to try. Sometimes there are guided journals, sometimes just lined, but where do you even begin? In this Beginner’s Guide to Journaling, we’re going through the major categories of journals to find out which one will be the best for you to start with. I am an avid journal promoter for any type of personal growth and mental health. The research on what writing out your thoughts does to promote your emotional well-being is absolutely astonishing! Journaling was pretty difficult for me to get into, at first. I liked to write, and I knew the benefits... But I just couldn’t find that joy and fulfillment that everyone was talking about after they had finished writing. Was I doing it wrong? Was I just not a person who benefited from journaling? It was only after I had experimented heavily with all different types of journals that I found the one that works for my personality and my goals! To save you the leg work of finding out what type of journal works best for you, I rounded-up all of the different journals that I’ve tried, who they’re for, and what they do best! In this comprehensive guide, you’ll be able to find which ones works best for you. Welcome back to those of you who are crossing off your goals and gearing up for a new post! If you’re new here, hello and welcome! I’m so glad you’re here and I hope you’re ready to transform your everyday into the authentic, amazing life that you deserve! All of the articles here are friendly for all lifestyles. Yes, even you! Each article help you identify those trouble areas holding you back and gives you real life solutions with no fluff, no woo-woo. I’m here for you to feel your best, at whatever part of your journey you’re in. If you’re new to journaling, I want to encourage you to work the “bugs out” first. Writing your thoughts and feelings out each day can be a very new and unique experience. We naturally guard our thoughts and feelings when it comes to non-journaling life, so the transition can be a bit of a learning curve at first. When you first start out, try writing out your thoughts on a paper you will tear up and throw away. With this exercise, you’ll learn to let your guard down. Because: you’re just going to throw it away, right? Allowing yourself to learn how to be uncensored in your writing is an excellent first step to take for you to be successful. With anything new to your routine, giving it time and actively improving upon it will help it reach your expectations. Let’s take a look at the different kinds of journals that are out there, and which one works the best for you! Depending on what your goals are for journaling, we’ll go over what each are good for. For each journal category, there are a few options that I’ve had experience with before and they’re linked with affiliate links for you to take a look! There’s a lot more posts like this over at the Personal Growth hub! There’s plenty of articles to help you find real life solutions with results that are tailored to your lifestyle. Don't forget to take a look at the Self-Care tag to keep up to date with the best in taking care of you! I picked this journal up as one of my first tries and it is fantastic for those looking for structure right off the bat! These types of journals are really enjoyable to use and helped keep me grounded each day with just a few little routine checks. The accountability in guided journals are second to none, and really help on personal growth journeys. The guided journal is for those who are looking for something to keep them aligned with their goal. Whether it’s mindfulness, productivity, gratitude… guided journals are such a great tool to keep you accountable. Each guided journal focuses on one, or a few similar, topics and intentions that carry on throughout a certain time period. They can really keep you on track for a big, lofty goal since a lot of them have check-in’s and hold you accountable for certain tasks. If you’re looking for more aspects in a journal, a guided journal may not be the best choice for your first. Although they are fantastic for a certain category, if you’re looking for more fluidity this may not be the right one. The quick journals are a great companion to an extra busy life. These are especially great to use if you are bursting at the seams with to-dos and looking for just the bare bones of journaling. They really don’t have a solid theme as the guided journals do, but they are excellent at being mindful of your time. Usually their journaling exercises can be tackled in just a few minutes each day. One of my close friends swears by the Five-Minute Journal and has had a lot of success in hammering out an entry in under five minutes. If sitting down to write in your journal sounds like a “one day” type of activity, try this type of journal out. Although these journals are so quick and so easy, they can just seem like the bare bones to others. If you’re looking for a more in-depth journaling experience, you may give this type of journal a pass. If you are holding on tight to that planner, this type of journal may be right up your alley! A true hybrid of both planner and journals exist and incorporate what you love about planners and journals combined. I’ve seen guided hybrids, blank hybrids, and even productivity journals that will help keep you on track and accountable. There are a lot of options out there for this type because it’s two different-not-different worlds combined for your convenience. I’ve had experience with a few but I have one that sticks out in particular. The Happy Planner is your one stop-shop for a complete, customizable planner and journal hybrid. For those of you looking for all-in-one for everything, it’s The Happy Planner. People who use these swear by them and I can understand why! If you already have a paper-planner, having another book to keep with you can be a daunting task. Combining both into one may solve a space issue in your bag! The Happy Planner really makes customization fun and easy. You can even print out your own designs to add in! If you’re a bit intimidated by having two things combined into one, or you’re not a planner person, this may not be the type of journal for you. If you’re new to using a planner or have never used one before, I’d recommend revisiting this option a bit further down your path. Habit Tracking has drastically evolved over the years into the type of journal that has become popular lately. There have been a lot of creative takes for a slew of topics, quite different from just the old weight-loss and food trackers of just a decade or so ago! Habit trackers are a helpful type of journal if you’re looking for accountability and how you can evolve from your past actions. There are mood trackers, health trackers, fertility trackers, stress trackers, all of these different types of journals exist to help you try to learn from your habits. And boy, that’s something that I am such an advocate for! As with the guided journals, habit tracking journals are for those looking for accountability on a single (or similar) goals and intentions. This type of journal can be used with another journal, which is right up my versatile-loving alley! The only draw back is just like the guided journal, it’s pretty cut-and-dry with out much room to go off the beaten path. If you’re looking for an accountability partner for a certain goal and looking to see progress, a habit-tracking journal may just be your type! Bullet journaling definitely has started to have an extreme following within the last few years! Not only do you have countless images of beautiful spreads on Pinterest, but there’s so much room to be creative that you truly can make a bujo completely your’s! With all of that creative control, you can make your bullet journal the type of journal that fits your lifestyle completely. I love to look through other’s journal spreads to add in the ones that I like into my own! And with a bujo, you’re completely free to be creative and unhinged! Although that is a breath of fresh air for some, all of that freedom can lead to analysis paralysis in other’s. You know that feeling… When there’s just so many options that you just freeze and do nothing? Make sure you’re willing to discipline yourself with a bujo. Some spreads look fantastic but take a lot of time to create and if you’re pressed for time, a bujo may be the type of journal further down your path. It can be so rewarding if you’re looking for complete creative control over your journal! That’s why I had to include just a regular, blank notebook. Although these types of journals can be classified with a bullet journal, blank notebooks stand on their own. There’s something fulfilling about just letting the pen hit paper. And nothing quite taps into that like a blank journal does. When you’re looking for a creative outlet but may not be fully dedicated to the graph paper of bujo, a lined journal may be up your alley! I love looking for reflections and prompts from others to write about on days when I have more time to explore. And some days I just like to free write! This type of journal can be whatever you like and can be quick or a lengthy process. As with a bujo, a blank journal can have that same type of analysis paralysis if you’re not used to journaling or just taking a step towards more serious journaling. Taking the plunge into the blank journals can be daunting but if it’s something that you want to grow and nurture, by all means, go for it! Use a blank journal for some things and a guided for others, the options are endless! What’s holding you back from journaling? Sometimes our priorities lie elsewhere. Sometimes life gets in the way... Or maybe we just don’t understand how journaling can help our journey. Allowing yourself to look at your obstacles and overcome them can help you towards incorporating journaling into your life. When you want to add a routine to your everyday, looking at your obstacles will give you hints as to what to work on and grow. For not knowing how journaling can help you, look at why you want to start journaling. Is it a specific goal that guided journal could help? If time isn’t your best friend yet, maybe the a quick type of journal would best suit you! 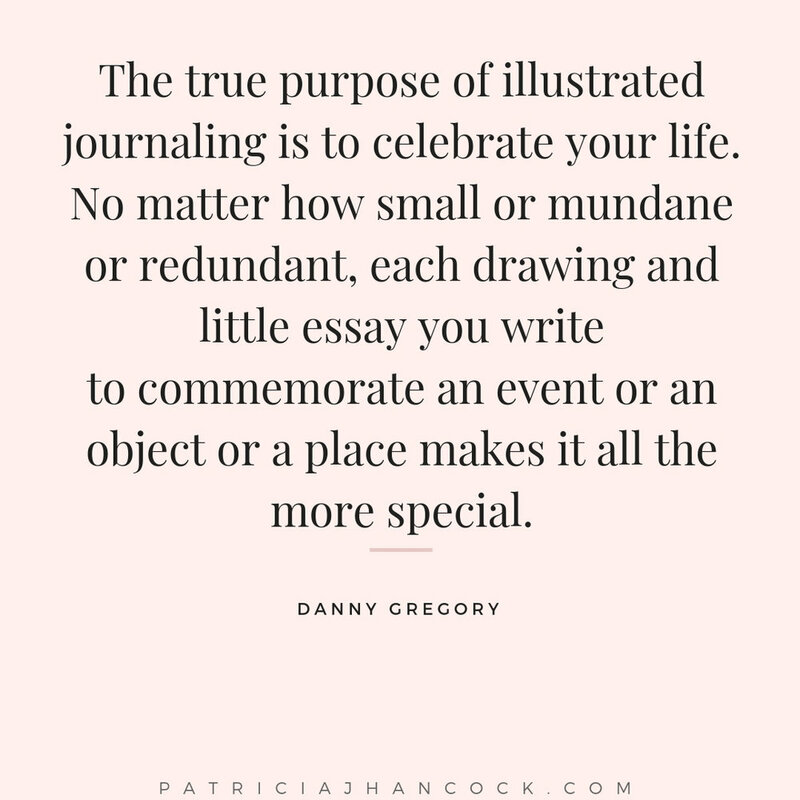 Journaling evolves with you along your journey, you’re not signing up for a lifelong commitment to one journal forever. Ick, no! Think of where you are now. Let's look at your options as to what would work best right now for the you right now! If you’re looking for more growth and development in your personal and work life, check out the Personal Growth hub. This page contains everything you need to nurture and grow into the person I know you can be! In the comments below, tell me about what type of journal best suits you. Let’s start the discussion to help other’s who are going through the same! Everyone needs some help sometimes! If you know someone who can benefit from this share it and send it to them!